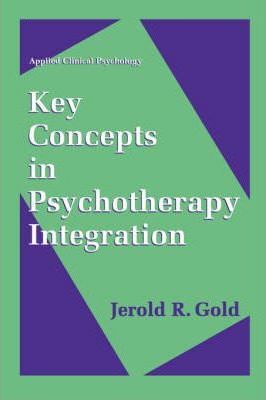 Author Jerold Gold reviews the progress that has been made in the field of integrative psychotherapy. The author develops a unique narrative-based framework in which clinicians can synthesize different psychotherapies into an integrated conceptual system and technical method. An ongoing case example illustrates the framework and its key concepts. In addition, chapters examine the contributions of psychodynamic, humanistic, cognitive-behavioral, and integrative therapies to the development of important psychotherapeutic ideas. Illustrations note XIV, 242 p.
Theoretical Foundations: The Status of Psychotherapy Integration. Theories of Personality and Psychopathology. Theories of Psychotherapeutic Change. Clinical Concepts: The Therapeutic Relationship. Insight, Interpretation, and Unconscious Processes. Experimental Interventions. Active Interventions for Behavioral and Cognitive Change. Philosophical Concerns: The World View of an Integrated Psychotherapy. Index.